Preheat oven to 200ºC (390ºF). Sprinkle parmesan evenly over a baking tray lined with non-stick baking paper. Bake for 8–10 minutes or until melted and light golden. Allow to cool on the tray until crisp. 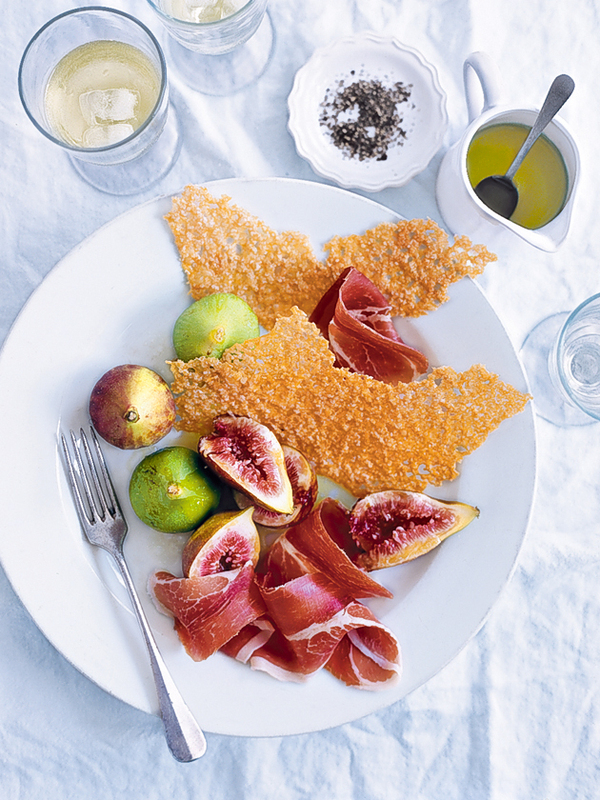 Break the parmesan into shards and serve with the prosciutto, figs and pepper and drizzle with the vinegar and oil. Serves 4.